Keeping your home clean doesn’t have to be a chore. We proudly offer residential cleaning services that you can trust. Our team provides dependable cleaning services that get the job done quickly and affordably. You can trust our cleaning team to deliver high-quality results every time. Keeping your home clean is hard work. 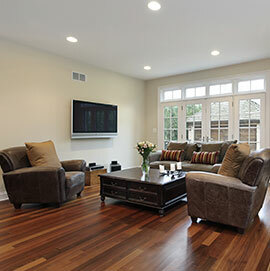 Often, it seems as though there aren't enough hours in the day to properly clean your home. When you hire our experienced team, you'll be able to enjoy spending your free time doing more of what you love. We're proud to provide our customers with the residential cleaning services that they need at affordable prices. Our low rates make it more affordable than ever for you to keep your home clean. Plus, our current specials help you to save even more. From kitchens to bathrooms to floors and mirrors, our professional residential cleaning company can keep your entire home sparkling clean. We are mindful of the fact that we will be working in your personal space. Our cleaners are always friendly, courteous, and respectful of your privacy, but if there are any rooms you don’t want us to clean, just let us know. We are always happy to customize our residential cleaning services to meet your needs. Imagine returning home to a perfectly clean house after a long day of work. We make this dream come true by cleaning your house from top to bottom using high-quality cleaning products. With the floors vacuumed, the bathroom scrubbed, and the kitchen sanitized, you’ll be able to sit back and relax. Life is simpler and less stressful when you house is clean and everything is in its place. Once you experience our residential cleaning services, you’ll wonder how you lived without them. Save money by hiring our experienced, efficient cleaners. Our team works quickly without ever cutting corners. All our employees have the skill and training to deliver exceptional results with fast turnaround times. This keeps our labor rates low and lets us charge some of the lowest prices around for residential cleaning. A beautiful, clean home is perfect for welcoming guests. When your home has been professionally cleaned, you’ll never feel self-conscious about inviting friends and neighbors inside. Whether you need a one-off cleaning before a big party or weekly cleaning throughout the year, we’ve got you covered. Our residential cleaning services are perfect for homes and apartments of all sizes. When buying or selling a home, a deep clean is an invaluable service that makes your life easier. For sellers, hiring professional cleaners is the best way to ensure your property looks its best for potential buyers. A small investment in residential cleaning now could make a huge difference to the ultimate selling price. For buyers, having a new house cleaned saves you a lot of work on moving day. You’ll be able to move your furniture and belongings into your new home without having to worry about dust and debris. We also clean apartments for tenants and landlords throughout the region. Tenants do not always leave rental accommodations in perfect condition, but our cleaners will make sure your apartment looks its best. Conversely, if you are a tenant and you want to make sure you receive your deposit back from your landlord, hiring our cleaners will save you a lot of work. As residential cleaning specialists, we work hard to make your apartment truly shine. Contact us to find out how affordable and convenient it can be to keep your home sparkling clean. We clean homes throughout Gaithersburg, Rockville, Germantown, Urbana, and Clarksburg, Maryland.